As an important supplement to the legal aid system, the on-duty lawyer system originated in the United Kingdom and was gradually absorbed and established by modern rule of law countries such as Australia, Canada, and Japan, and became an important part of the legal aid system of these countries. The number of criminal defense lawyers in China is limited, and the criminal defense rate continues to be low. 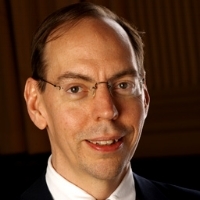 Ira Belkin is the Executive Director of the U.S.-Asia Law Institute. Prior to joining the Institute in September 2012, Belkin served as a program officer at the Ford Foundation in Beijing, where he worked on law and rights issues. His grant-making supported Chinese institutions working to build the Chinese legal system, to strengthen the rule of law and to enhance the protection of citizens’ rights, especially the rights of vulnerable groups. Prior to joining the foundation in 2007, Belkin combined a career as an American lawyer and federal prosecutor with a deep interest in China, and spent seven years working to promote the rule of law in China. His appointments included two tours at the U.S. Embassy in Beijing and a year as a fellow at the Yale Law School China Law Center. After graduating from NYU Law, Belkin spent 16 years as a federal prosecutor including time in Providence, R.I., where he was chief of the criminal division, and in Brooklyn, N.Y., where he was deputy chief of the general crimes unit. Before attending law school, Belkin taught Chinese language at Middlebury College. He has lectured extensively in Chinese to Chinese audiences on the U.S. criminal justice system and to American audiences on the Chinese legal reform movement. In addition to his J.D. from New York University School of Law, Belkin has a master’s degree in Chinese studies from Seton Hall University and a bachelor’s degree from SUNY Albany. Despite many wrongful convictions, as well as death penalty cases, have been redressed in China resent years, there still are lots of innocent defendants petitioning for retrial. In this talk, Lawyer Jiade Huang will deliver what happened to these death penalty wrongful convictions in China. After clarifying that the factors caused the early wrongful conviction still exist, Jiade will put up with approaches to protect innocent citizens from wrongful convictions with legislative and practical strategies. Katharina Zellweger is a Visiting Scholar at Stanford University’s Center for International Security and Cooperation (CISAC). Previously, she was a 2011–12 Pantech Fellow at the Walter H. Shorenstein Asia-Pacific Research Center. She came to Stanford after five years of living in Pyongyang as the North Korea country director for the Swiss Agency for Development and Cooperation (SDC). Through her SDC and earlier work, she has witnessed modest economic and social changes not visible to most North Korea observers. Her research at Stanford will draw on over 15 years of humanitarian work in North Korea and explore how aid intervention can stimulate positive sustainable change there. Join USALI for a talk with Weixia Gu: Associate Professor at the Faculty of Law, The University of Hong Kong (HKU) and Pasha L. Hsieh is an Associate Professor and the LL.M. Program Director at the Singapore Management University School of Law. This presentation will offer research on corporate financial crimes between the U.S and Korea, focusing on investigative methods, evidence-gathering process and trials on accounting fraud crimes such as Enron, Worldcom, Adelphia and so on. This study will also deal with the details of the major corporate financial crimes committed by big company in Korea such as the investigation process, the content of the sentence, the penalties of main criminals. The whole western world is mis-targeting and mis-understanding the social credits system as an ambitious project of surveillance. In fact, it is just a good anticipation of the Chinese government for a better society as the western ones full of good regulation, market and morality. However, the social credits system still needs complete data protection law, because this project, through collecting, using and concentrating huge amount of personal data, will change the meaning and position of person in the law, and influent everyone’s fulfillment of fundamental rights. Roderick Hills teaches and writes in public law areas with a focus on the law governing division of powers between central and subcentral governments. These areas include constitutional law, local government law, land use regulation, jurisdiction and conflicts of law, and education law. This presentation will discuss the differences of work visa holders’ status between China and the United States and make an argument for reform. What measures has the Supreme Court been taking to improve the proportion of application of judgment declaration on trial day? How has the application of this declaration changed? Is it practical and appropriate to improve this approach? To what extent will it be helpful for the substantialization of court trial? This presentation will discuss questions above through empirical approach. Rowena Xiaoqing He is Assistant Professor of History at St. Michael’s College. Born and raised in China as a member of the "Tiananmen Generation," He moved to Canada in 1998, where she received her Ph.D. from the University of Toronto. In addition to her work at St. Michael’s University, she has spent time at Harvard University’s Fairbank Center, where her seminars on the Tiananmen Movement have earned her a Certificate of Teaching Excellence for three consecutive years. Professor Dutton's research focuses on Chinese views of sovereignty and international law and how those views are shaped by geostrategic and historical factors. Professor Tokunaga will discuss where the difference between Japan and the United States in regards to the expert witness system and the impact of forensic science in the criminal procedure. Mr. Ren Ito is a diplomat, scholar, and social entrepreneur. He joined the Japanese Foreign Service in 2001, and has held key positions in Tokyo and Washington D.C. for 15 years. Ren’s current research focuses on the strategic implications of the maritime disputes in the South China Sea and the East China Sea, and how Japan, the US and China view sovereignty and international law of the sea. NYU China House is pleased to announce our upcoming event: The Origins Of Governance. As one of the four talks we have prepared in the month of February, The Origins Of Governance will be free and open to the public. Research Scholars who lead our program work will be available to answer questions about (a) opportunities to connect with the Institute’s work, (b) our annual internship program, and (c) our current portfolio of research on law reform in East Asia. Come say hello! Hugh Scogin has taught at the University of Southern California School of Law, NYU School of Law and Yale Law School. His courses have included Corporations, International Business Transactions, Chinese Law, Japanese Law, Chinese Legal History and Introduction to Civil Law Systems. Frank Upham teaches first-year Property, law and development, and a variety of courses and seminars on comparative law and society with an emphasis on East Asia and the developing world. He was the faculty director of the Global Law School Program from 1997 to 2002 and is the founder and co-faculty director of the Global Public Service Law Project, which brings activist lawyers primarily from the developing world for an LLM in Public Service Law. Upham graduated from the Woodrow Wilson School of Public and International Affairs at Princeton University in 1967 and Harvard Law School in 1974. From 1967 to 1970, Upham taught in the Department of Western Languages at Tunghai University in Taichung, Taiwan, and was a freelance journalist in Vietnam, Cambodia, and Laos, covering the war for Time, Sports Illustrated, and other publications. Before moving to NYU in 1994, he had taught at Ohio State, Harvard, and Boston College law schools. Upham has spent considerable time at various institutions in Asia, including as a Japan Foundation Fellow and Visiting Scholar at Doshisha University in 1977, as a research fellow of the Japan Society for the Promotion of Science at Sophia University in 1986, and as a visiting professor at Tsinghua University in Beijing in 2003. He speaks Chinese and French, as well as Japanese. His scholarship has focused on Japan, and his book Law and Social Change in Postwar Japan received the Thomas J. Wilson Prize from Harvard University Press in 1987. The book is generally viewed as the standard reference for discussions of Japanese law and its social and political role in contemporary Japan. More recently, he has begun researching and writing about Chinese law and society and about the role of law in social and political development more generally. In 1999, Upham founded the Global Public Service Law Project, which he continues to co-direct with Professor Holly Maguigan. The project was inspired by Upham’s realization, gained by working with both Japanese and American environmental and human rights lawyers, that there were very few institutional opportunities for activist lawyers throughout the world to learn from each other and to form the professional networks that are common for global commercial lawyers. This isolation is particularly acute for activist and public interest lawyers in the Third World. The project addresses this need by bringing up to 15 such lawyers to NYU each year, where they learn from each other, the rest of the student body, and the faculty before returning to their practices with the additional resources and training necessary to be more effective on the global stage. His China work with colleagues has included development and teaching/coteaching courses in comparative law, China/US relations, environment governance and public management/public policy; research and writing (including Chinese language textbooks on comparative public interest law, China environmental governance and comparative environmental law, co-editor of Peking University press series on U.S. society, and articles on comparative environmental governance, comparative cyberfinance regulation, comparative public management); co-organizer with University of California Professor Oran Young and China colleagues of ongoing comparative environmental governance workshop and writing network, assistance in development of centers and programs addressing law, China/US relations and environment; participation as faculty in environmental law training programs; service as UNDP and EU China Environmental governance foreign expert on environmental law/governance. 2018 activities included publications with colleagues on non state actors and China environmental governance (as part of environmental governance network) and on cyberfinance regulation (as part of Shanghai based cyberfinance law research team); co-organizer of Shanghai Forum day of workshops on green trade governance; participation as faculty in Environmental Law Institute/China Environmental Protection Forum environmental law trainings of judges, prosecutors, police and ngo staff; co-organizer of Shanghai Forum workshops on green trade governance; assistance (as Tianjin Law professor) to Tianjin University law school in development of cooperation with universities in India, Australia, and U.S.; co-organizer (as part of environmental governance network) of workshops at Tsinghua and Shanghai Institutes for International Studies; participant as speaker/presenter in programs at Peking University, China Academy of Sciences, Tsinghua, Fudan, City University of Hong Kong, Shanghai Jiao Tong/University of Edinburgh low carbon college, East China University of Political Science and Law, the Central Party School, PACE ( Association of China Environmental experts) annual conference; participation in Nanjing University directed UNEP multiyear research program on China environmental governance reform; co-author with Duke Kunshan University colleague of evaluation of US/China Asia Law Partnership. Exploring the theme of “East Asia and International Law,” this event marks the 70th anniversary of the Universal Declaration of Human Rights and will also assess the roles of international legal institutions in dispute resolution, including issues relating to the East and South China Seas. We hope that you will join us for this special event, and watch our website and mailing list for updates throughout the autumn – including featured speakers and RSVP information. Mark Cohen is Lecturer in Law, Distinguished Senior Fellow and Director of the Berkeley Center for Law and Technology Asia IP Project. Among his responsibilities, he teaches Chinese intellectual property law and international trade at Berkeley Law. Prior to this position he served as Senior Counsel to the USPTO leading its 21-member China team, as a Visiting Professor at Fordham Law School and a Director of International IP Policy at Microsoft Corporation, amongst other positions. In total, Mark has over 30 years private, public sector, in-house, and academic experience in intellectual property, with a focus on technology trade and monetizing intellectual property. Among his professional accomplishments have been helping to create the US-China IP Experts “Track II” Dialogue between the US Chamber of Commerce and China; serving as the first IP attaché posted from the USPTO to a foreign country; creation of the US-China IPR Working Group under the former Joint Commission on Commerce and Trade; teaching the first China IP class at a North American University; and identifying and supporting the only two IP-related complaints filed against China at the WTO. Mark serves as the webmaster of the blog www.chinaipr.com, and has co-authored the books “China Intellectual Property Law and Practice” and “Anti-Monopoly Law and Practice in China” and many monographs. He is also a recipient of many awards, including the Presidential Merit Award from the White House, the IP Champion award from the US Chamber of Commerce, the IP Trailblazer Award from the National Law Journal, the Distinguished Foreign Service Award from the Pharmaceutical Research Manufacturers Association, and a Gold Medal award from the Secretary of Commerce for promoting protection of intellectual property rights through rule of law. He holds a J.D. degree from Columbia University, an M.A. from the University of Wisconsin (Chinese language), and a B.A. from the State University of New York at Albany (Chinese studies). Mark is admitted to the District of Columbia Bar.